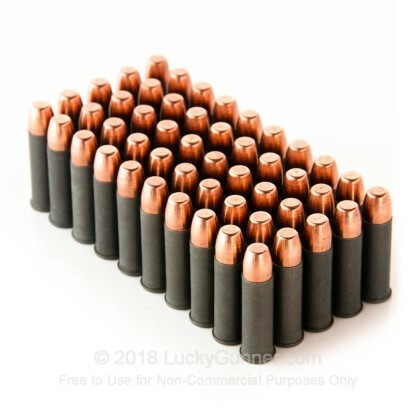 If you are looking for some low cost plinking ammo for your 38 special revolver, then this is the ammo for you! 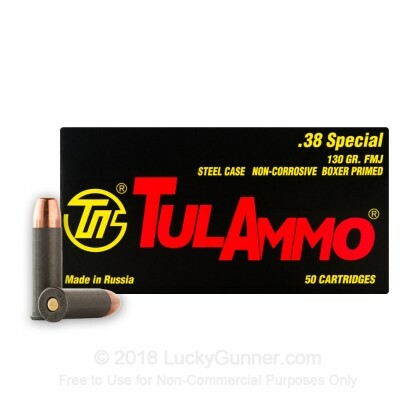 These 130 grain FMJ 38 special rounds, from Tula Ammo, are made from quality components, one of which is its steel case, which is a specialty of Tula Ammo. 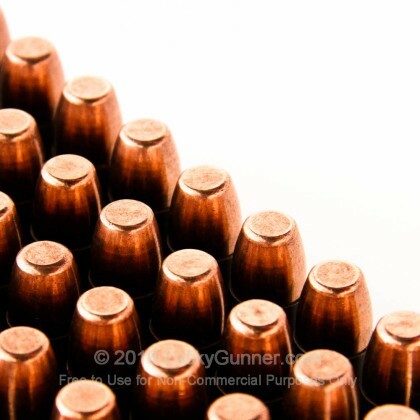 Steel ammo is becoming more common with American shooters, who are looking for reliable range ammo, but are also working off of a limited budget. Order a box of this steel cased ammo today and you'll see why so many gun owners are switching to steel ammo. Tula Cartridge Works is a Russian company that has been producing weapons and ammunition for over 300 years, and was founded by Tsar Peter I. Tula produces steel cased ammunition which was chosen over brass-cased ammo to save money; several Russian companies follow the same plan. 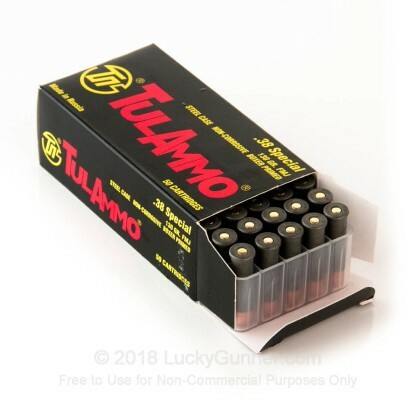 Tula ammo is an example of some of the best and cheapest Steel cased ammunition. 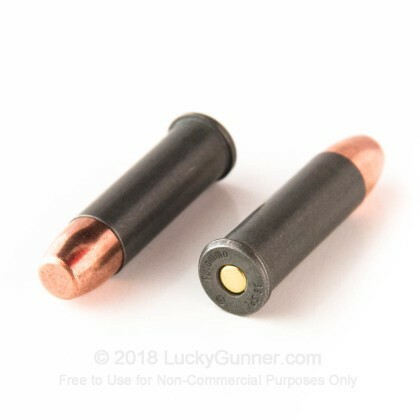 This ammo is steel cased, Boxer primed, non-corrosive and non-reloadable. A: No. It is loaded to typical .38 Special pressures and safe to use in any .38 special or .357 Magnum revolver. Q: Are these projectiles magnetic ? Bimetallic type. A: Hello! This Tula ammunition is loaded in a steel casing with a bi-metal jacket projectile. The core of the projectile is lead, but the jacket is made by pressing together layers of copper and steel to form the bi-metal material. Q: What is the FPS?? A: Hello David, Tula lists the velocity of this round at 890 fps. 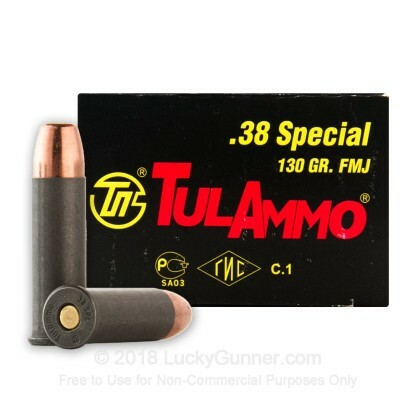 We also have this 38 Special - 130 Grain FMJ - Tula - 1000 Rounds ammo in stock in a bigger quantity.